I am multi-tasking: doing laundry, watching a Hallmark Christmas movie and writing this blog post. A friend of mine bought a large quantity of molasses and gave me a good portion of this. I have lots of ideas about how to use this in baking and I decided to make a cake like item first. This recipe is based on one I found on food.com by Kittencal. I converted it into a gluten free recipe and reduced the sugar a bit. I used old fashioned certified GF oats, but next time I will use the quick ones because the smaller and thinner quick kind will be softer to chew with the soft cake. The old fashioned ones were a bit too stiff for my taste, but no one else seemed to notice. I love this recipe. 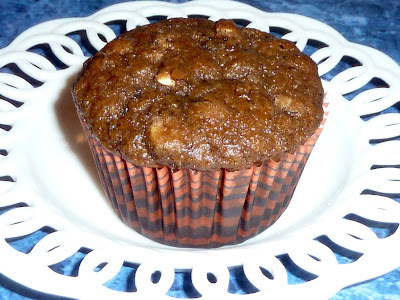 The muffin is soft and moist with a different and delicious flavor. I made it dairy free to share with friends and they gobbled them right up with lots of compliments. Two yums up! 1) Preheat oven to 350℉. 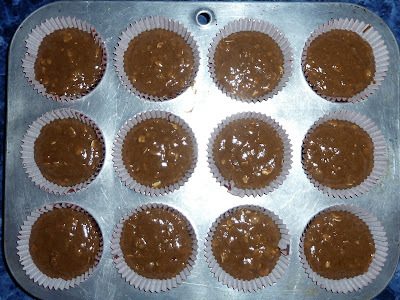 Place paper liners in a 12 cup muffin tin. 2) Add the milk to a cup and mix in the vinegar. This will make buttermilk. Let it sit for 5-10 minutes while you prepare the other ingredients. 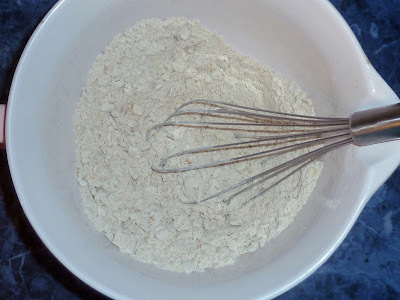 3) In a small bowl add the flours, salt, xanthan gum, oats, baking soda and cinnamon and mix together well. 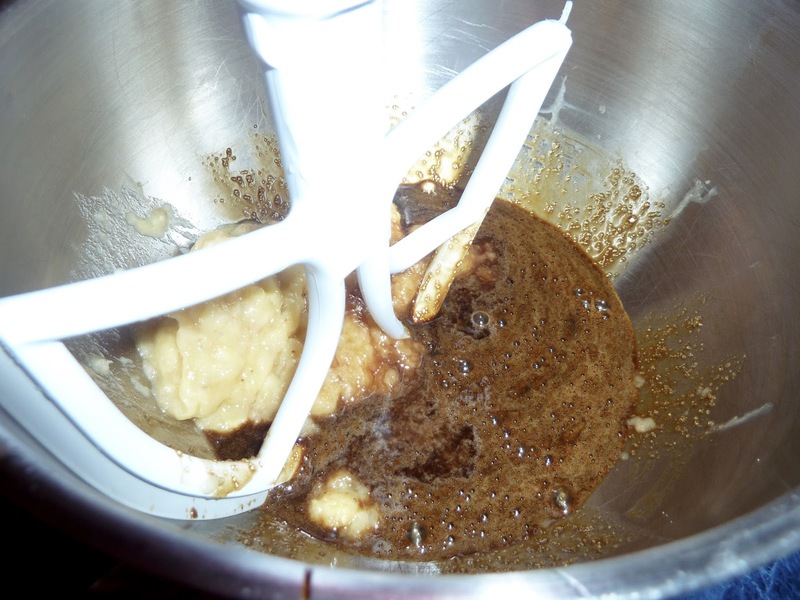 4) In a large bowl add the sugar, oil, mashed bananas, molasses, eggs and vanilla and blend together well. 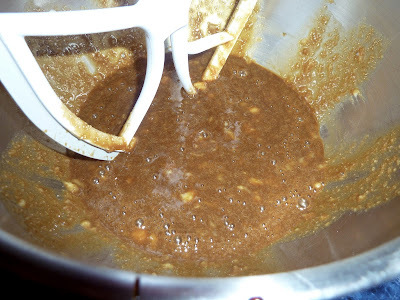 Bananas, oil, eggs, molasses, sugar and vanilla in the bowl. 5) Add the milk and vinegar. The batter after adding the milk. 6) Add the flour mixture to the banana/milk mixture and beat together well. Adding flour to the molasses mixture. 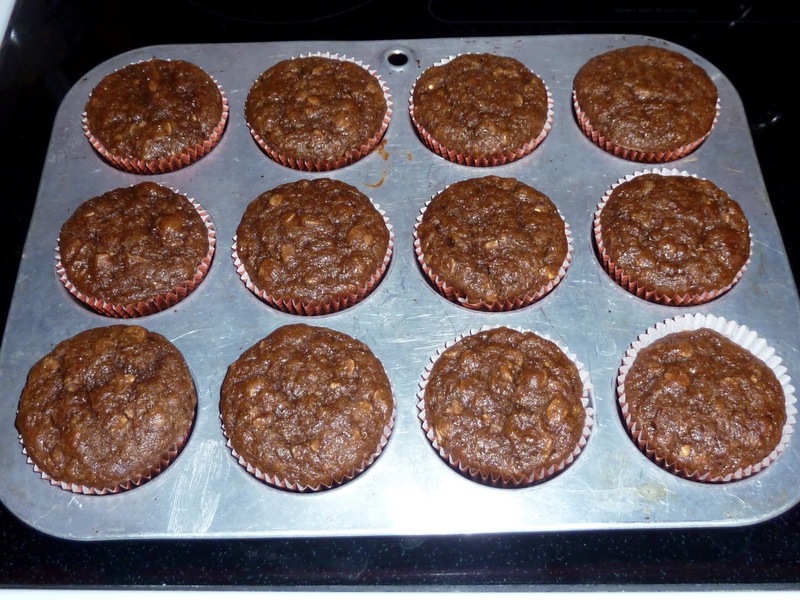 7) Fill the muffin cups ¾ full. I used a scoop that measured 2” across. Raw batter in paper liners. 8) Bake for 20-25 minutes until the cake springs back when pressed lightly with your finger. 9) Cool in pan for 10 minutes and then cool completely on a rack. A peek at the inside of a muffin. 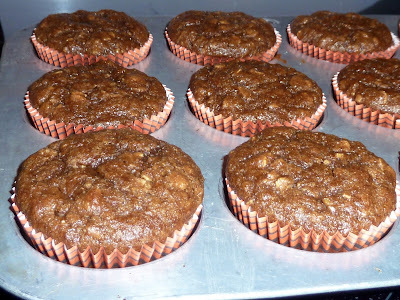 GLUTEN FREE MOLASSES OAT BANANA MUFFINS GlutenFreeBakingBear.com Makes 12 muffins Ingredients ¾ cup Sorghum ¼ cup + 2 Tbs. Tapioca Flour ¼ cup + 2 Tbs. 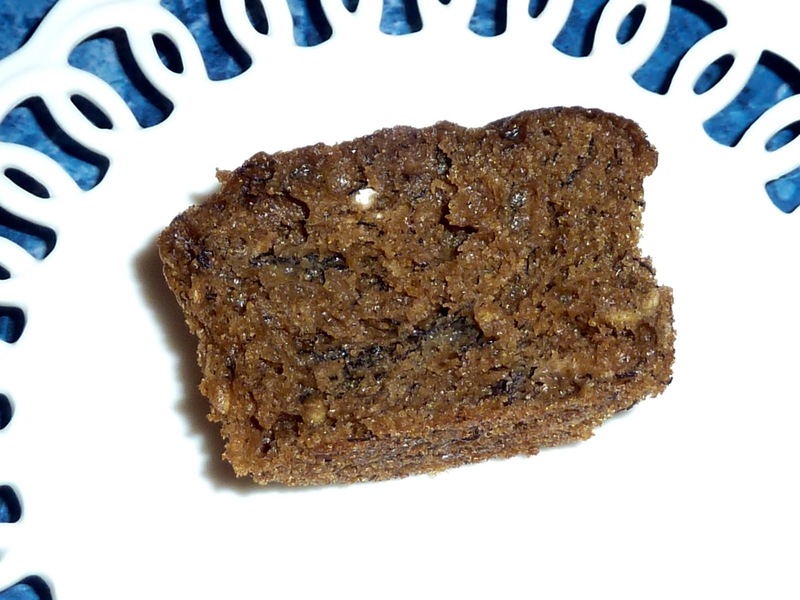 Chickpea Flour ¾ tsp Xanthan Gum ⅔ cup GF Oats - quick oats would be best 1 ¼ tsp Baking Soda 1 tsp Cinnamon ½ tsp Sea Salt ½ cup Sugar ¼ cup Oil (neutral tasting like canola) or Melted Butter ¼ cup Molasses 2 large Eggs 1 ¼ cup - about 3 medium Ripe Bananas - mashed ⅓ cup Milk or Dairy Free Milk of choice - I used almond 2 tsp Apple Cider Vinegar 2 tsp Vanilla Extract Directions 1) Preheat oven to 350℉. 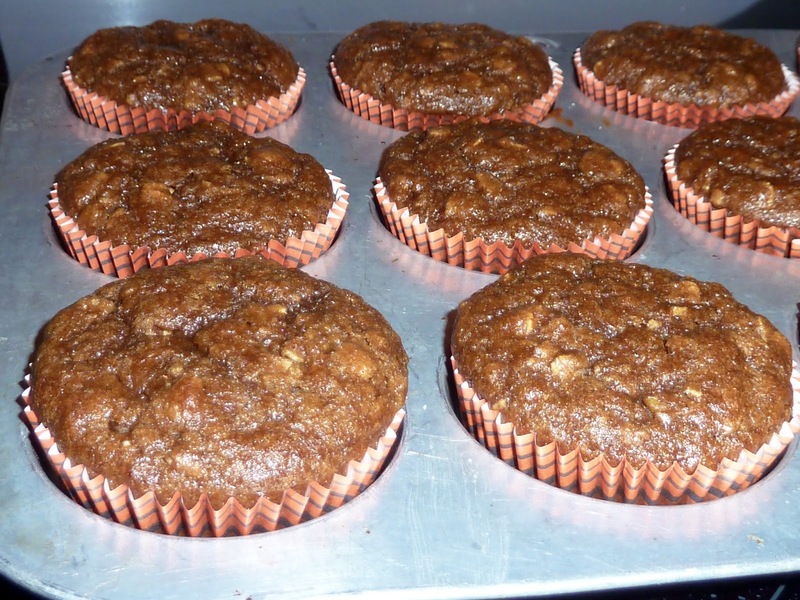 Place paper liners in a 12 cup muffin tin. 2) Add the milk to a cup and mix in the vinegar. This will make buttermilk. Let it sit for 5-10 minutes while you prepare the other ingredients. 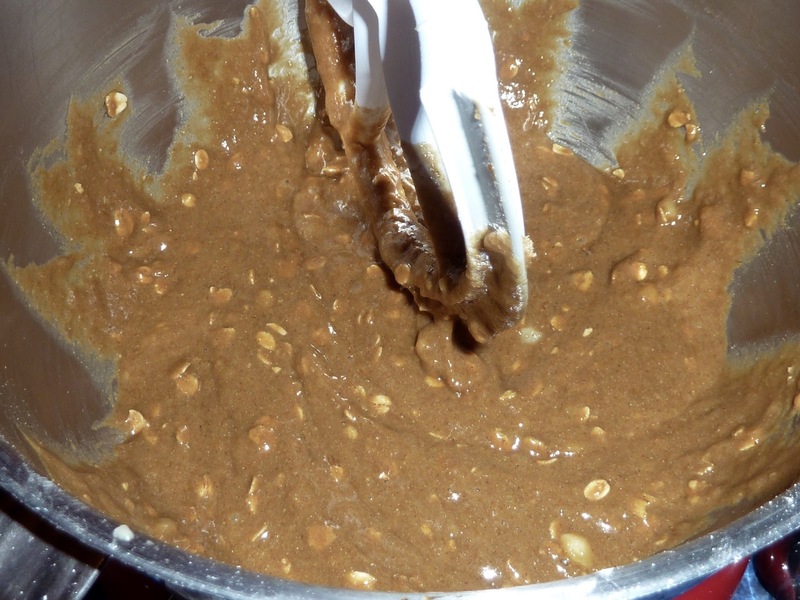 3) In a small bowl add the flours, salt, xanthan gum, oats, baking soda and cinnamon and mix together well. 4) In a large bowl add the sugar, oil, mashed bananas, eggs and vanilla and blend together well. 5) Add the milk and vinegar. 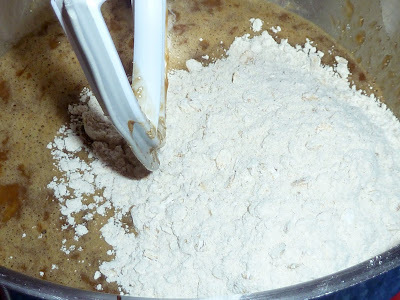 6) Add the flour mixture to the banana/milk mixture and beat together well. 7) Fill the muffin cups ¾ full. I used a scoop that measured 2” across. 8) Bake for 20-25 minutes until the cake springs back when pressed lightly with your finger. 9) Cool in pan for 10 minutes and then cool completely on a rack.